A few years ago, Ana Flores, the creator of Latina Bloggers Connect, had an idea: to bring together content creators and brands in a space where partnerships could be created, community could be built and Latina content creators could grow. 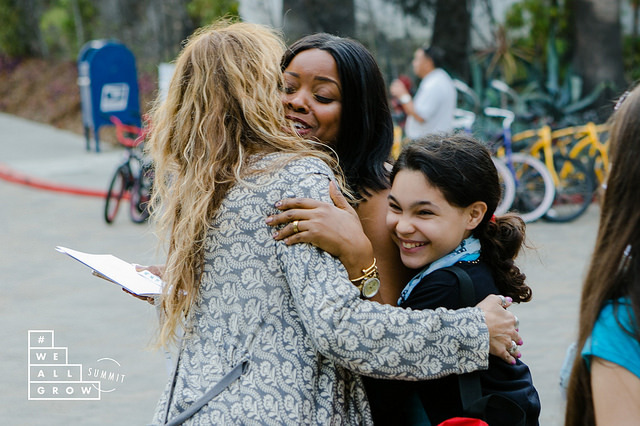 Following the motto of “If one grows, we all grow” the We All Grow Summit was born. Last week, 350 multicultural content creators (bloggers and vloggers) came together at Hotel Maya in Long Beach, California for the second-annual We All Grow Summit, Ana’s brainchild. We All Grow brought together women from all over the United States and some even coming from countries in Latin America. The women had the same goals: to learn, connect with brands and shall we say, improve their game. I had the pleasure of attending We All Grow for the second year. Ana and her team’s passion for their work stood out, as each detail is meticulously planned. It’s not only about helping creators connect to brands, it’s also about nurturing the whole self: with kundalini yoga, meditation, healthy food, and even breakfast in bed… the #WeAllGrow team truly thought of everything. It’s also about celebrating community and Latino culture: as you hear a combination of English/Spanish and Spanglish in the air, as you shop in el Mercadito, created to highlight some entrepreneurs whose products celebrate their heritage, and even the location: Hotel Maya by Hilton is the perfect place to celebrate of Latino culture. This is the second year that I have the pleasure of attending We All Grow. The quality of the speakers continues to be top notch. This year’s speakers included experts in their fields like Heather Connelly, from Facebook, Cristy Marrero from Hola USA! and Rosie Rivera who shared her powerful story of loss, surviving sexual abuse and becoming an author and speaker who shares her story with the world. There was not a dry eye in the room when Rosie shared that her hope was that she could reach the little girl in the room who was being abused so that little girl would speak up. The brands at We All Grow get it. They get the purchasing power that Latinas have and trust our voices. They know the importance that bloggers and content creators have in a space where consumers trust them more than they trust commercials on television or company websites. 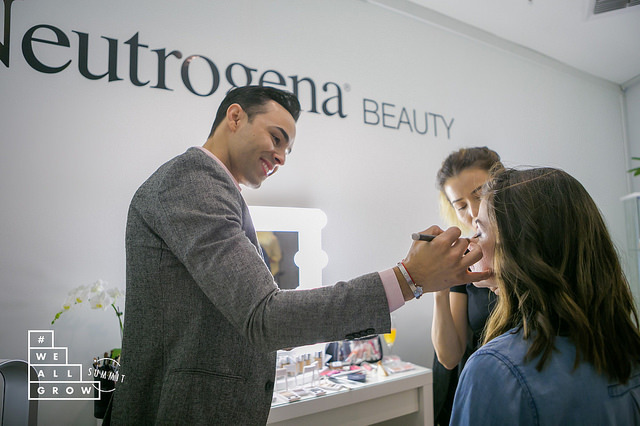 For a second year in a row, Neutrogena came back to We All Grow as a title sponsor. Their Neutrogena Suite exceeded all expectations: facial diagnostics with expert dermatologists, mini-facials, makeup tutorials and applications by Erick Cuesta, desserts, champagne, Neutrogena goodies, head shots, and a MyIntent bracelet booth where attendees could design their own intention bracelets. Other brand suites were quite incredible as well, plenty of pampering, how-tos, tips, photo ops and more. 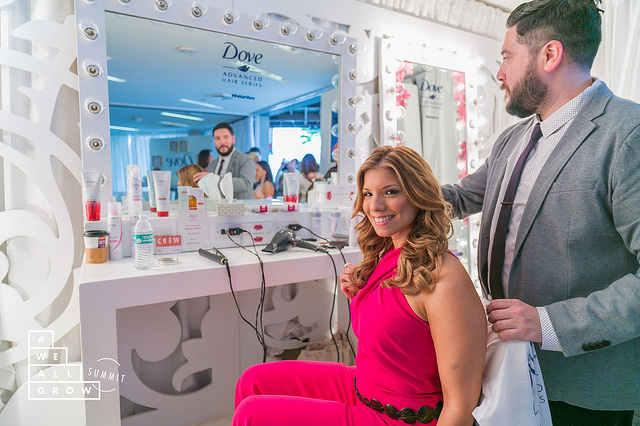 Dove came back for another year with a beautiful suite with manicures, hairstyles by Mario Anton, celebrity hair stylist, and snacks. Youtube came back to sponsor the Storytellers, a signature part of WeAllGrow where six women come to tell their emotional and inspiring stories on stage. Disney Parks sponsored one of the field trips and a keynote luncheon. And the list goes on… OPI, Mom.me, Vanidades, Vicks Vapo Rub (one of my personal favorites)… brands, media companies, organizations that know the power of the Latina voice in today’s world. THIRD, BRINGING LATINA CONTENT CREATORS TO MAINSTREAM AND CELEBRATING DIVERSITY. The Today Show and SheKnows Media (creators of BlogHer) presented keynote addresses. 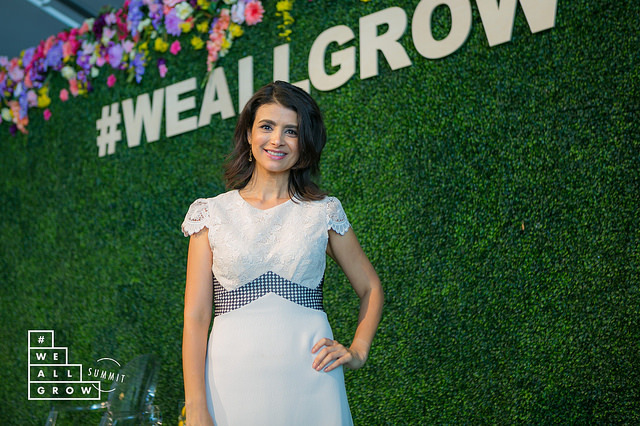 We All Grow celebrates the beauty, diversity and entrepreneurial spirit of Latinas. It is all about presenting opportunities to content creators and showing brands all that Latinas have to offer. 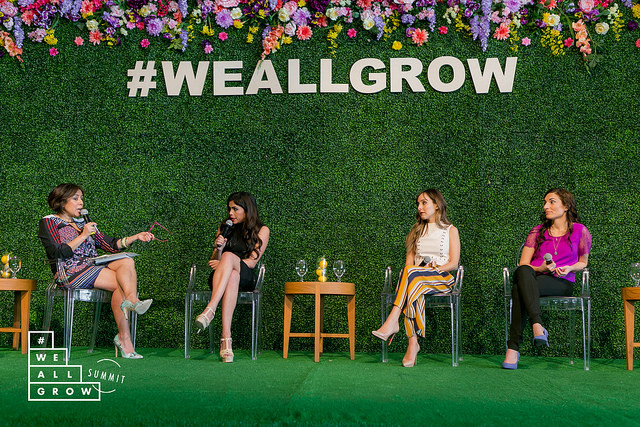 If you are a Latina content creator looking to connect to brands who care about the Latina experience and voice, or a brand looking to connect to smart, driven and inspiring storytellers and content creators, make sure to check out the We All Grow Summit. Crain’s 40 under 40 in 2016 is the most diverse group yet! After reading this...it makes me want to go next year! I've never been but this sounds like an amazing opportunity, and experience. Wonderful post! Great article! Thank you for sharing you experience Diana. I'll be there FOR SURE on 2017!